This pretty and evocative bag was created in the 1930s. Very Good - There is a small hole and a couple of tiny runs in the lining of the bag. This does not affect the functionality of the piece and is consistent with age and use. 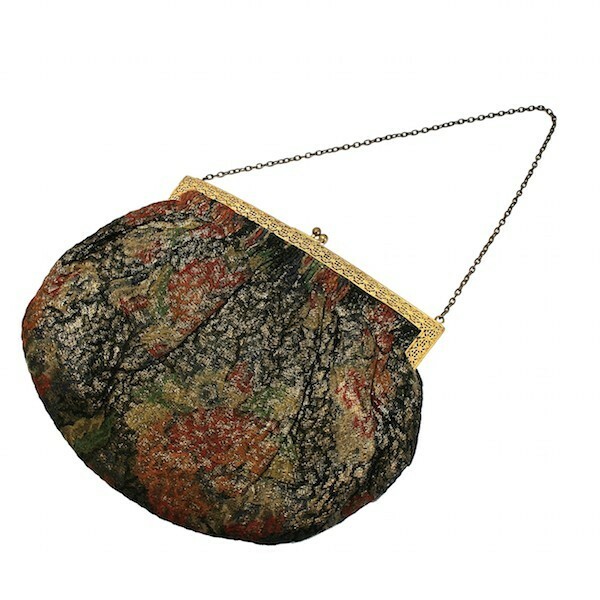 This elegant bag is constructed from floral patterned lamé (a fabric with golden thread running through it). 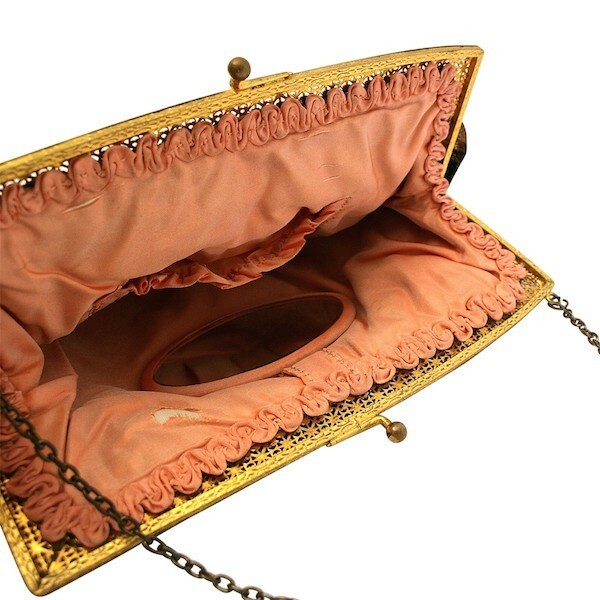 It features a gilt metal frame and fastens with a 'kiss' clasp. 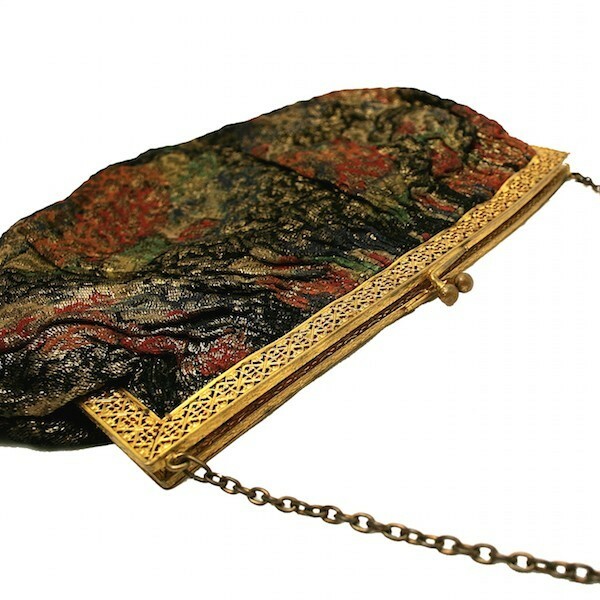 The bag can be carried with a gilt metal open link chain. It has one large central compartment and a small ruched pocket. 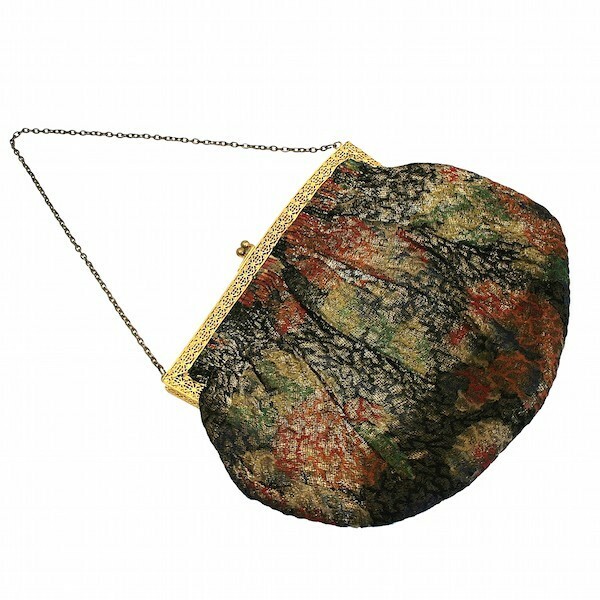 Attached to the interior of the bag is a small oval-shaped mirror. The bag is lined with a baby pink silk.